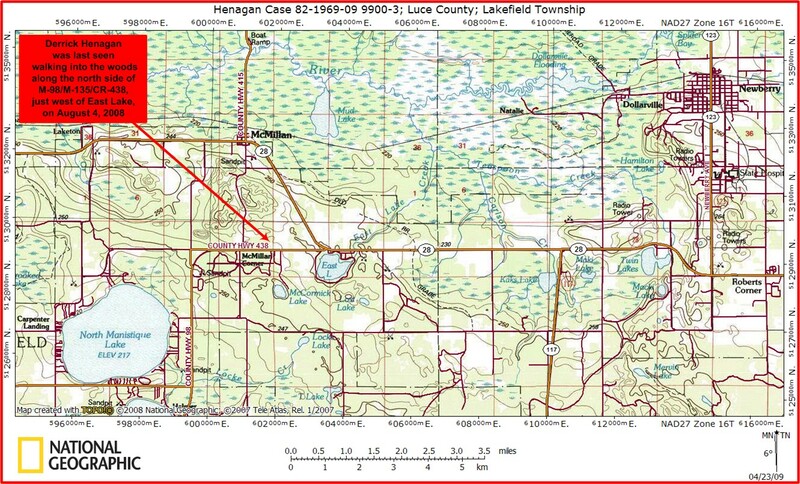 Welcome to Derrick Henagan's missing-person Website. 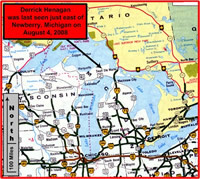 Great Lakes-area atlas map of where Derrick Henagan was last seen on August 4, 2008. 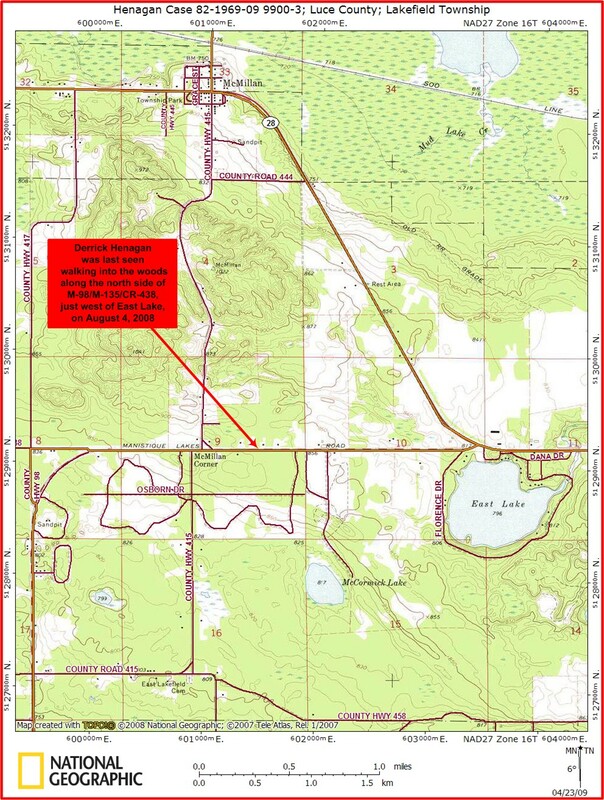 Click here or on map for high-resolution imagery. 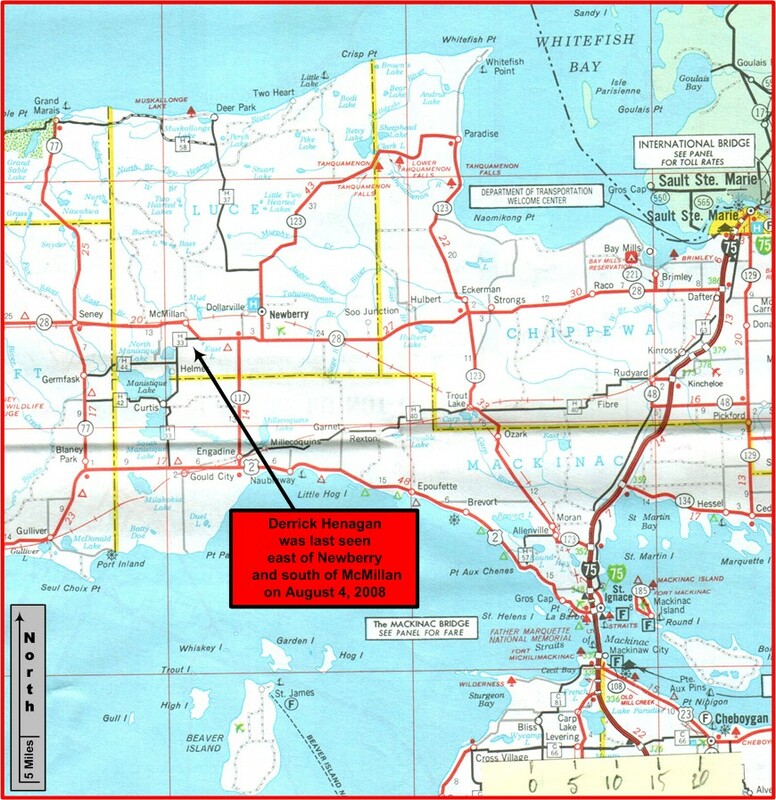 At the time of his disappearancewhich is considered suspicioushe was living in a residence along North Manistique Lake Road, south of the village of McMillan and just west of East Lake. 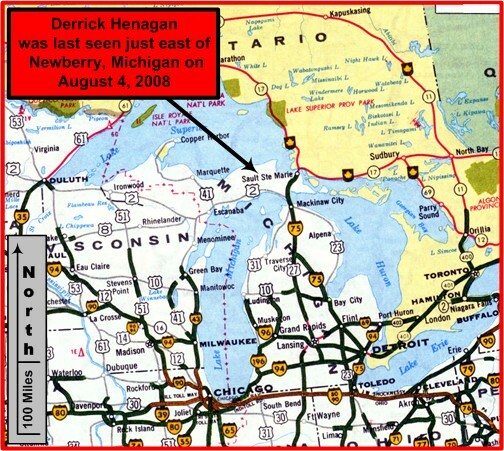 When she arrived at the location, Derrick was nowhere to be found. 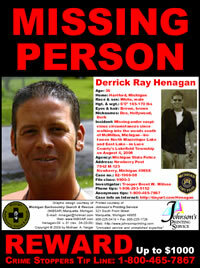 He has not been heard from or seen since. with words "Rayce + Dy"
A reward of up to $2,000$1,000 from Crime Stoppers and $1,000 from Quick Bail Bonds of Jackson, Michiganis being offered for information regarding this case. Note: If you're concerned about the anonymity of this tip-reporting process, consider making your telephone call from a pay phone.